Editor’s note: A militant Sunni Muslim group called Lashkar-e-Jhangvi claimed responsibility for two recent terror attacks in Quetta, Pakistan. The Feb. 16 attack killed 84 and wounded more than 140 people in an area mainly inhabited by the Hazara, an ethnic minority. A Jan. 10 attack killed 90 Hazaras. “It is impossible that I open the news page and there is not any explosion news about Afghanistan,” one of my Afghan friends said to me recently. Last week there was another a bomb explosion in Pakistan that killed more than eighty people. This explosion was aimed at a specific ethnic group—the Hazara. Hazaras have been massacred throughout Afghan history because they are mostly Shia Muslims and Shia has always been a minority in Afghanistan, where Sunnis are the majority. 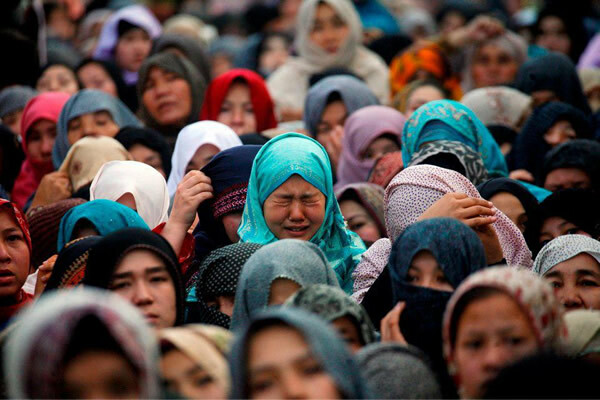 So for decades Hazaras have been massacred, insulted, and left out by the majority. The massacre of the Hazaras sometimes reminds me of the holocaust where Hitler killed Jews because of their ethnicity. Killing Hazaras in Pakistan started last year and continues now. So many Hazara children and women have been killed or injured. History is repeated and we do not do anything. I am disappointed about this, but one thing that gives me hope is the new generation that is protesting against all the violence. Hearing about the protests gives me hope. Knowing that people in London, Australia, Kabul, and hopefully in America are protesting to raise the Hazaras’ voices makes me happy. In Kabul people held many protests and they did not lose their hope, although the government did not do anything. They kept trying. There is now supposed to be a protest outside the United Nations in New York City. Some of the protesters are Afghan students. Hearing about these people pushes me forward and makes me able to smile because I think we can bring change. We can unite and make this world a better place. I feel power. cannot be heard in Pakistan. This is not just murder, this a massacre. This goes beyond violence to women. Life is a basic right. Remember that even raising a voice and spreading this news and making others aware of this event helps. Thank you for bringing the recent massacres of the Hazara community to the attention of Americans. I wish I was near New York to attend the UN protests. Keep telling people about the terrible injustice that the Hazara people must face. Spreading the word about the Hazara people is important work! Thank you for bringing attention to their persecution and joining what sounds like a growing chorus of voices speaking out against it. Thank you for sharing this important article. I am very sorry about it. I hope all people love each other and respect each other as human. I wish ignorance can be removed from humanity’s society very soon and love take over the world. Thank you, Fatima, for sharing with us the plight of the Hazara people. The world needs to know about the horrible suffering, persecution, and massacres that have been plaguing the Hazara people. It is a real tragedy that ongoing violence against them is rarely discussed in the media. That’s why articles like yours are so important and need to be read. We are here to support you and the Hazara people. Thank you!